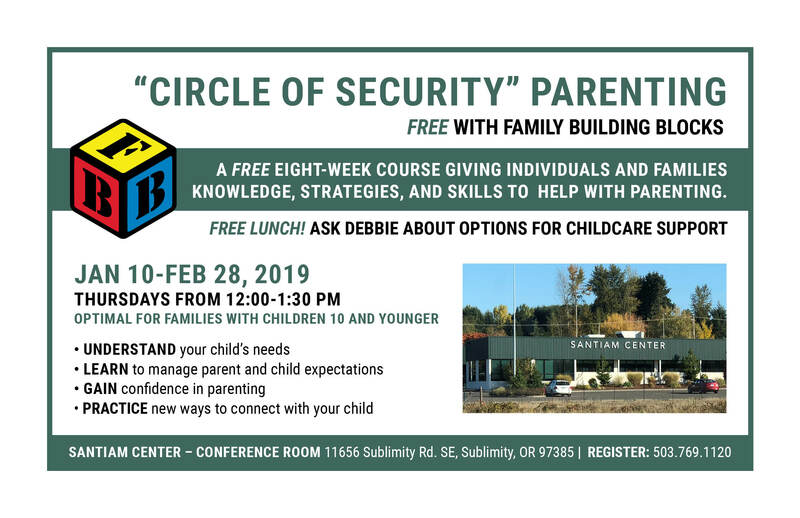 Circle of Security - Marion & Polk Early Learning Hub, Inc.
Marion & Polk Early Learning Hub, Inc.
Get our free parenting tips. Find parenting groups, kindergarten-ready resources and much more. For Parent Education in Polk or Yamhill County visit Mid-Valley Parenting. Contact Tiffany Miller to get your event added to our calendar. Early Learning Hubs in 16 regions across Oregon are getting Human Services, Health, Early Learning, K-12 Education and Business Sector partners to work together to create local systems that are aligned, coordinated, and family-centered. © 2019 Marion & Polk Early Learning Hub, Inc.